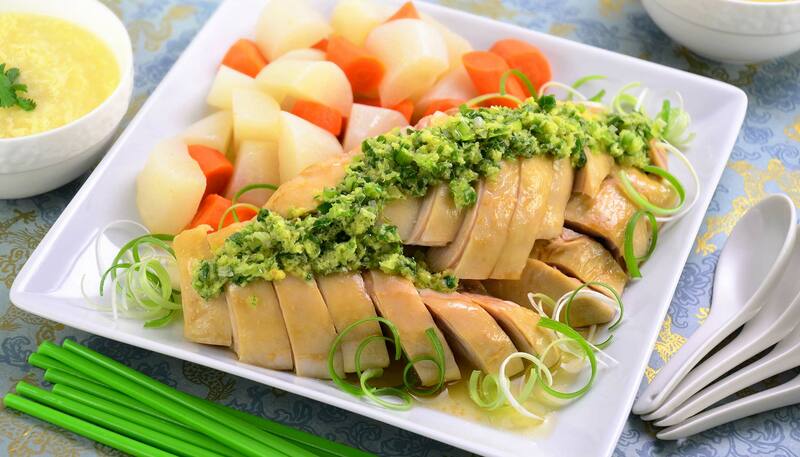 This soft and juicy white chicken dish is a very popular Cantonese appetizer. 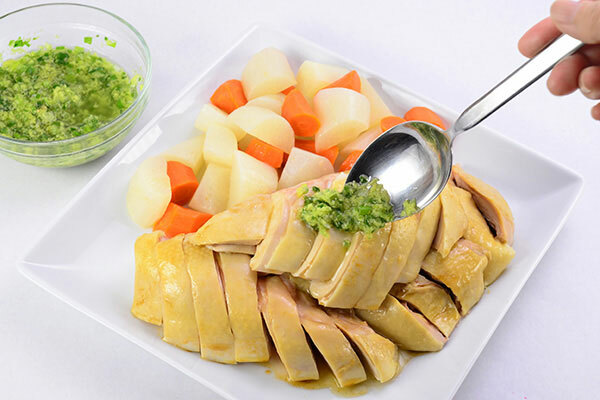 This recipe is perfect for cooking in the Stainless Steel Thermal Vacuum Cooking Pot, which cooks the chicken without making it tough. Pour water (not in ingredient list) up to half-way level of the inner pan and heat over high heat to boil. 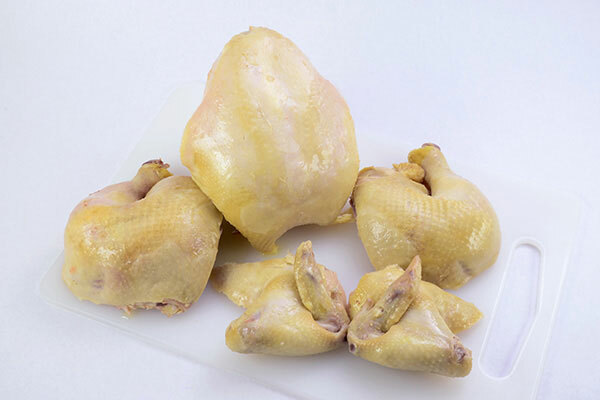 Remove chicken giblets from the chicken’s cavity, if any, and reserve for other recipes. Wash chicken and pat dry with paper towel. Dispose of paper towel. Place the bunch of whole green onions into the chicken cavity. 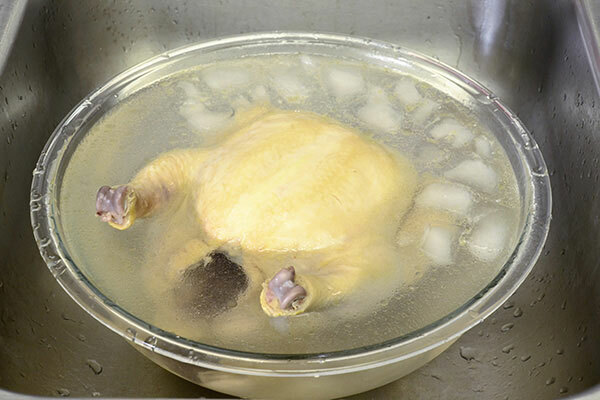 Carefully place chicken into the boiling inner pan. Make sure the pot does not over flow. Add ginger and optional daikon and carrots to the inner pan. 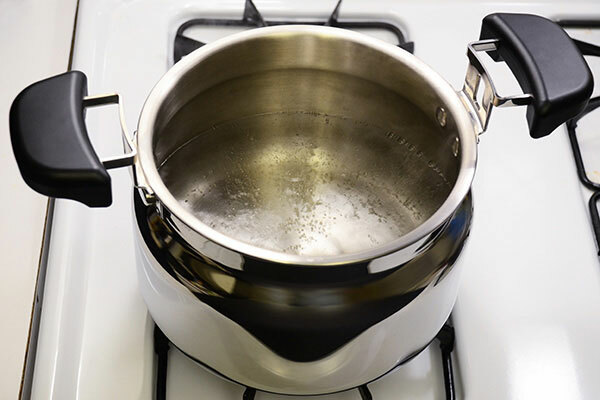 When water starts to boil again, skim the surface, cover the lid, and turn off the heat. 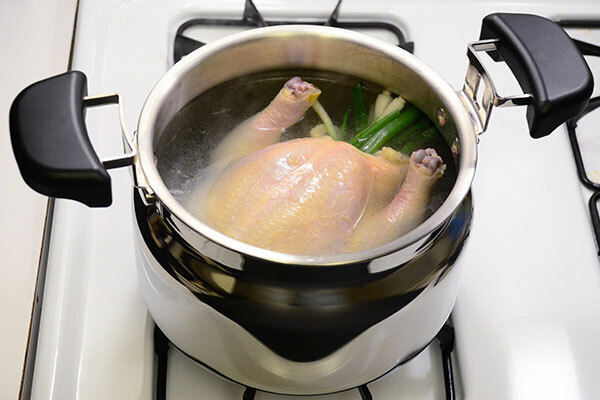 Place the inner pan inside the insulated container and keep warm for two hours or until chicken is cooked through. After two hours, prepare a large bowl of iced water. 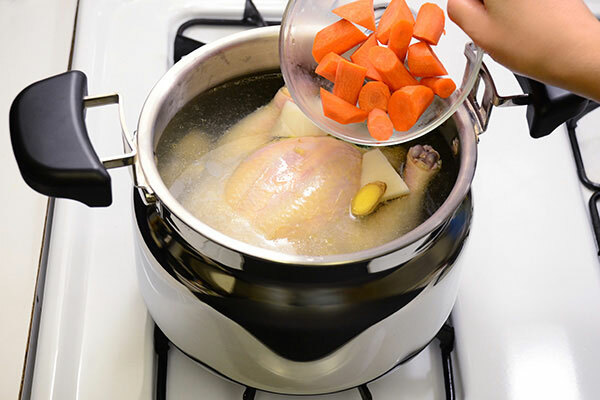 Carefully take out the cooked chicken from the inner pan. 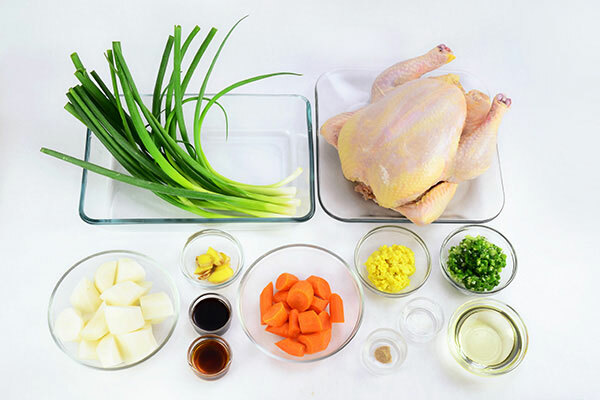 Remove stuffed green onions from the cavity and put the chicken in the iced water. Let it chill for 15 minutes. 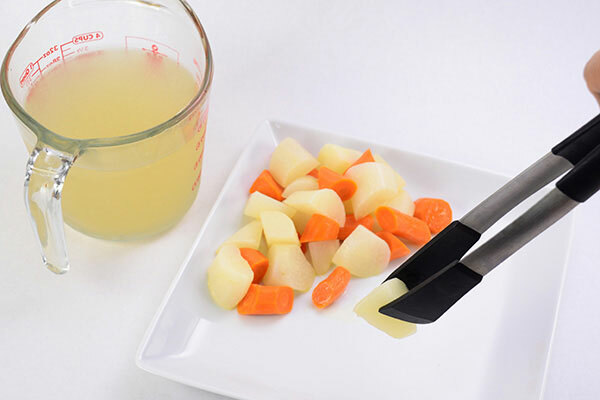 Place the cooked daikon and carrots onto a serving plate. 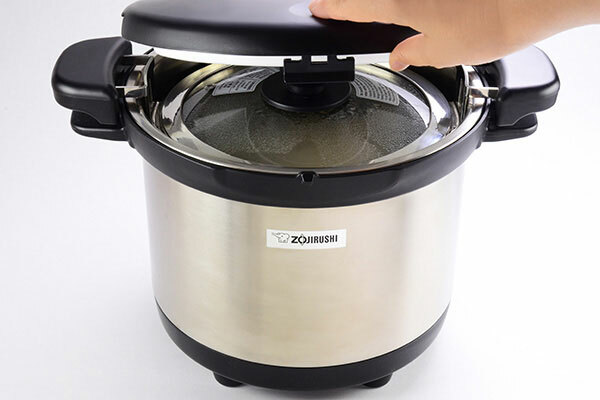 Strain poached water into a separate container and reserve for other recipes as a soup stock. 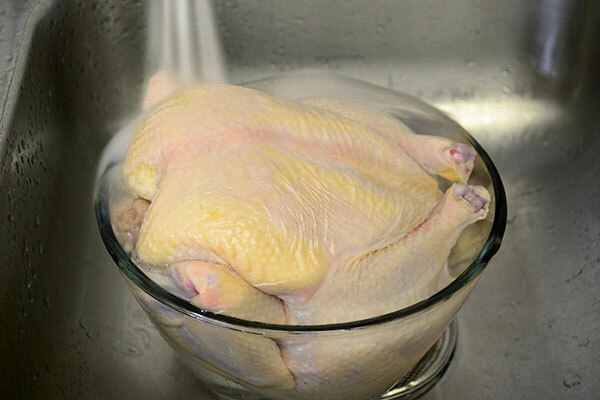 Remove chicken from iced water and pat dry with clean paper towels. Cut into parts and remove the bones. Slice and plate the chicken. Combine soy sauce and sesame oil in a small bowl and brush onto the surface of the chicken slices. 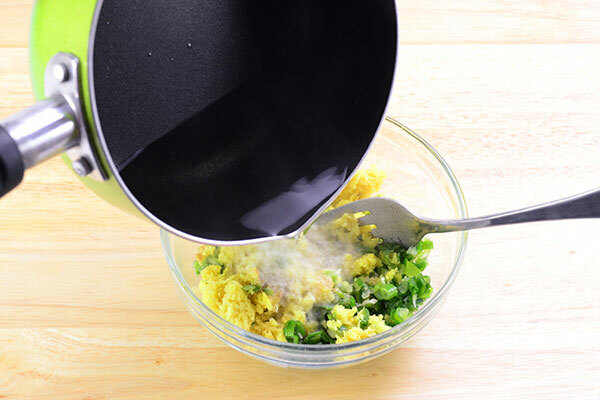 In a heat resistant bowl, place chopped green onions, ginger, salt, and white pepper. Heat peanut oil in a small pan, pour over the onion mixture and combine. 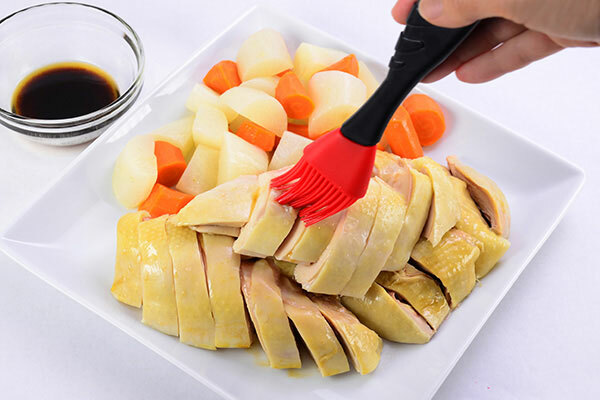 Serve chicken with sauce spooned over the top or on the side.